The Game plays at the L&D from national level competition to social barefoot. 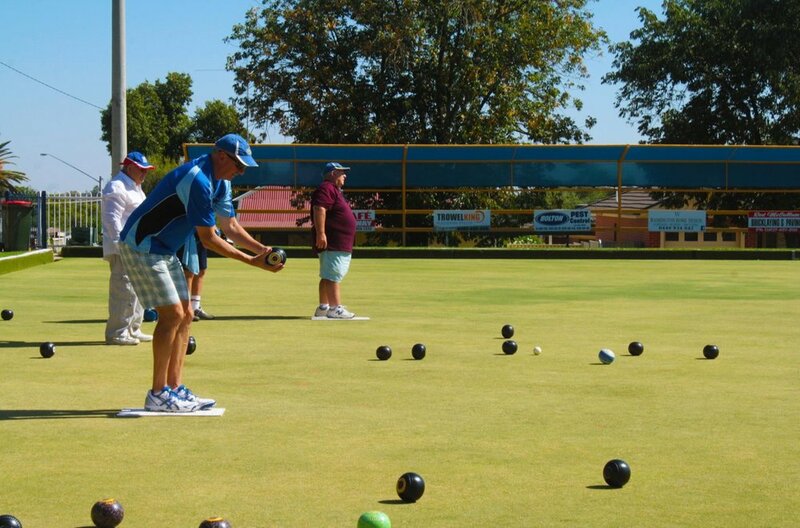 Leeton & District Bowling Club offers bowls for men of all ages and skill levels. We invite you and your mates to join us on our beautiful bowling green that is regularly maintained and designed for bowlers of all skill levels. Our bowls are fun for everyone, and we encourage beginners to sharpen up their skills and the more skilled players to show off their talents. Leeton & District Bowling Club is an encouraging environment with an easy-going, laid-back atmosphere for everyone to enjoy. If you are looking for a more competitive edge, we have programs for that, too! Bring your mates for some good times and wonderful memories at our welcoming bowling club! Call today to learn more about our memberships and bowls! Leeton & District Bowling Club is happy to invite ladies of all skill levels and ages to enjoy our bowl programs. Our state-of-the-art green is regularly maintained and designed for bowlers of all skill levels. Whether you want to stop in for a fun day with the ladies or you’re looking to enjoy the thrill of competition, there are programs for everyone. We offer programs for pairs, threes and fours to accommodate your group size. We offer programs throughout the year along with events and other functions for everyone to enjoy the game. Our state-of-the-art facilities can host functions of up to 250 people. We are always welcoming new members! Call today to learn more about our membership options. Ladies’ Bowl Schedule Coming Soon! Leeton & District Bowling Club is always hosting a variety of events to give back to the community, raise awareness or just have some good old-fashioned fun! We encourage everyone to attend all the events we have throughout the year. We love to host events to better the community and share our love for the sport of lawn bowling. Whether you are a beginner, intermediate level or a professional, our events are open for everyone to attend.